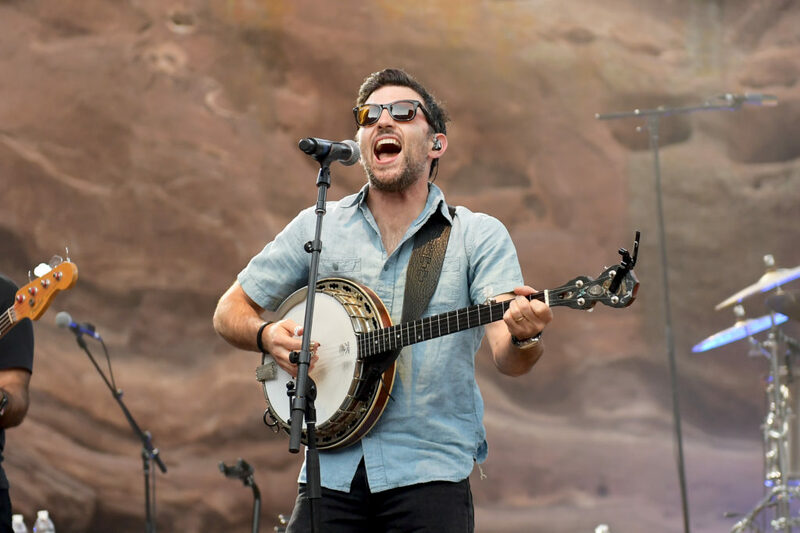 Scott Avett — the lead singer/creator of the band The Avett Brothers — was born in Cheyenne. His group (featuring his brother) has a very loyal fan base all across the country. Much of their music aims to encapsulate a number of different genres (pop, blues, country). As of 2017, the group has been nominated for three Grammy Awards. This Burlington-based band has been performing since the early 1980s. Trey Anastasio (pictured above) met the future members of the band during their college days at the University of Vermont. 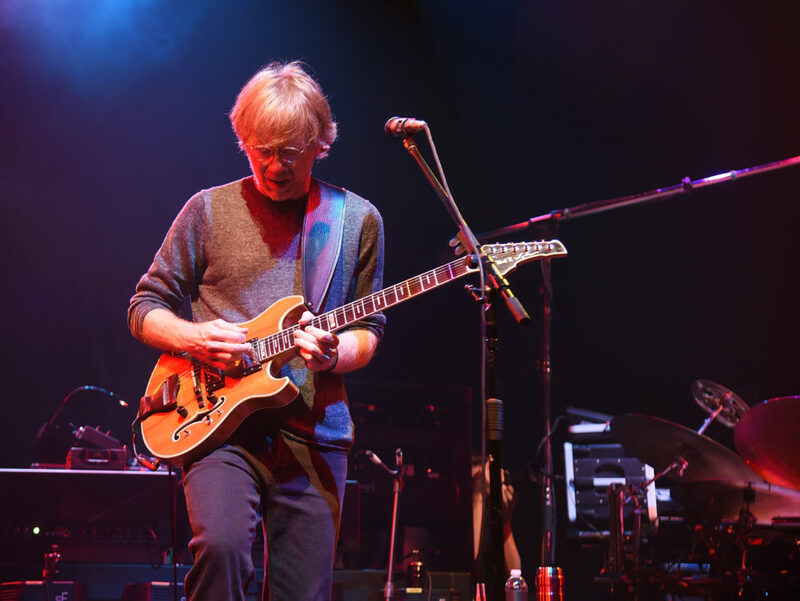 Heavily influenced by experimental groups, Phish predominantly utilizes elements of rock. It remains as one of the most popular rock groups from the ’90s and early 2000s. Portugal. The Man has developed into a very popular band. However, Alaska’s premier music act is unquestionably Jewel. The melodic artist is widely known for her sweet songs and terrific songwriting skills. The 44-year-old grew up in the remote town of Homer, Alaska. To date, Jewel has sold upwards of 30 million albums across the world. She’s also accrued four Grammy Award nominations. Though Wiz Khalifa (real name Cameron Thomaz) reps Pittsburgh super hard, he was actually born in the city of Minot. Khalifa’s family were in the military — and thus were based in North Dakota at the time of his birth. 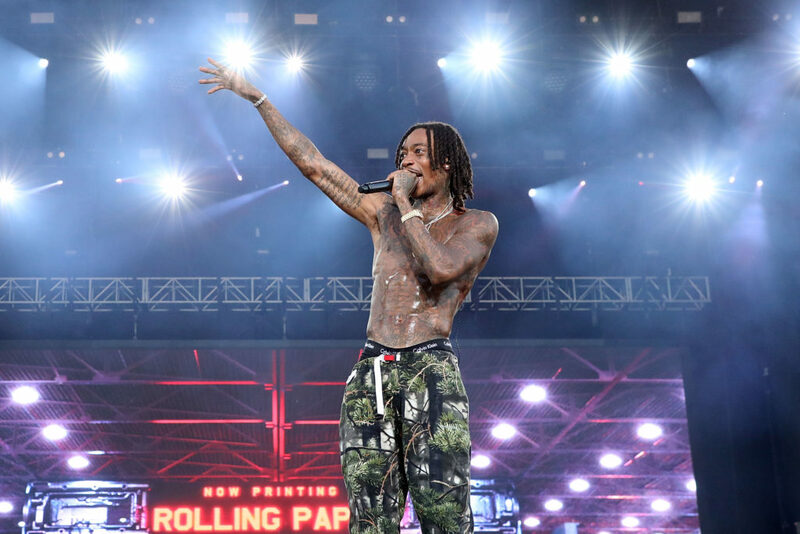 Since breaking out on rap’s largest stage, Khalifa has turned into a highly respected artist. He’s earned nine Grammy Award nominations, and has won three Billboard Music Awards. 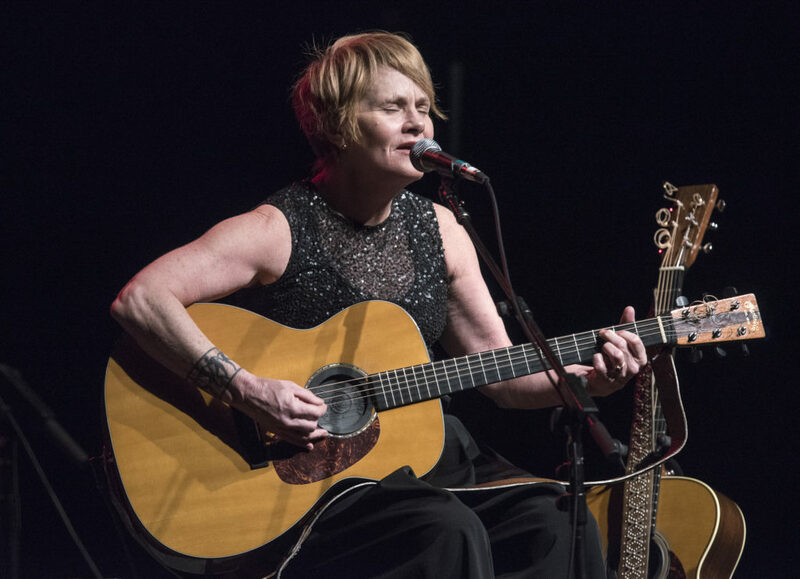 Solo artist Shawn Colvin enjoyed considerable success during the ’90s. In 1991, her album Steady On led to her winning a Grammy for the Best Contemporary Folk Album. In 1998, she won two Grammy Awards for Record of the Year and Song of the Year. Colvin was excellent in tapping into nostalgic folksy vibes from prior decades. She was born in Vermillion, South Dakota. 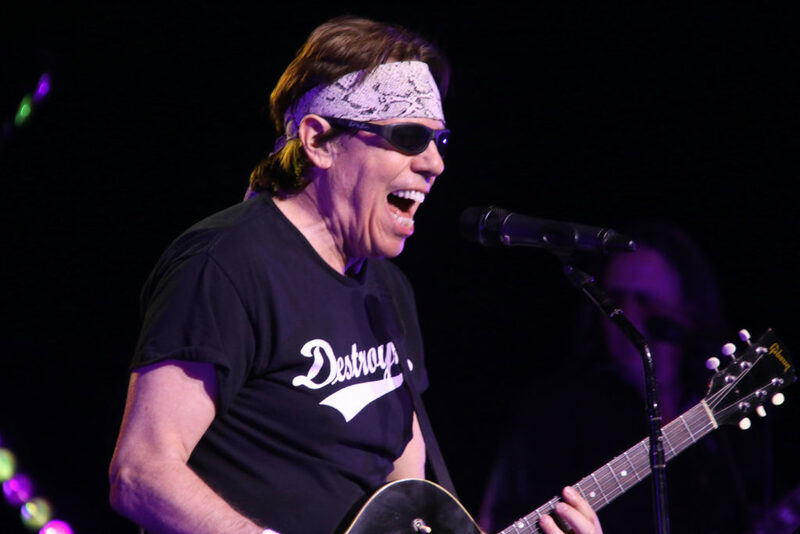 While George Thorogood isn’t a mainstream name, there’s a good chance you’ve heard his music before. A fixture in the blues rock scene, Thorogood is responsible for such hits “Bad to the Bone”, “One Bourbon, One Scotch, One Beer”, and “I Drink Alone”. A wizard both vocally and on the guitar, Thorogood is unquestionably the most influential musician hailing from Delaware. The 68-year-old hails from the town of Wilmington. If you’re a fan of The Late Late Show with James Corden, you likely have seen Watts and his gregarious personality. Watts is highly creative — a trait completely seen through his music gifts. The 46-year-old can play multiple instruments, and is proficient in both traditional singing as well as rapping. Though born in Germany, Watts grew up in Great Falls, Montana. Bill Conti isn’t a traditional music icon in terms of being a solo artist. However, he is without a doubt one of the best musical composers in recent memory. 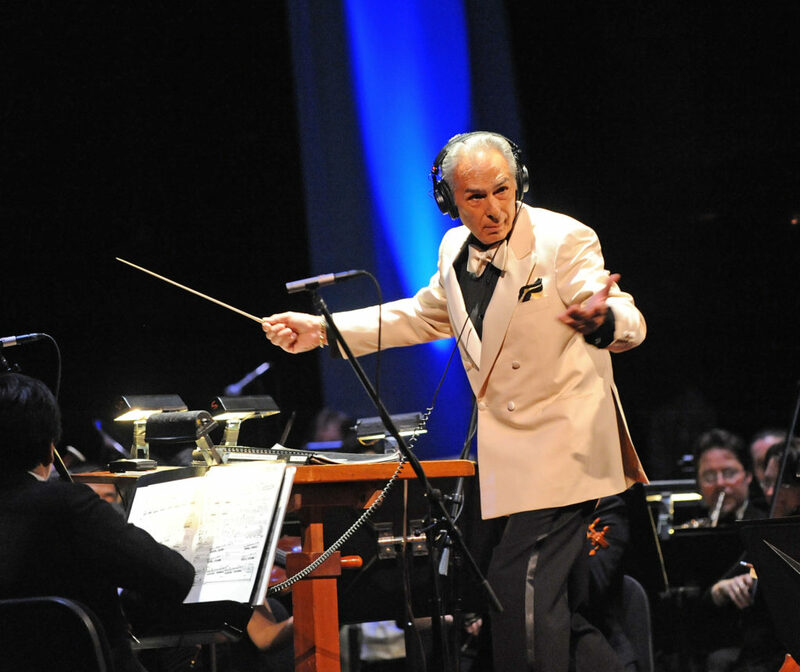 Conti has long been a composer/conductor for film scores. Among other triumphs, he was responsible for creating the iconic theme song attached to the film Rocky. Over the course of his career, Conti has accrued three Golden Globe nominations, 13 Emmy nominations, three Academy Award nominations, and one Oscar win. Conti was born in Providence, Rhode Island. 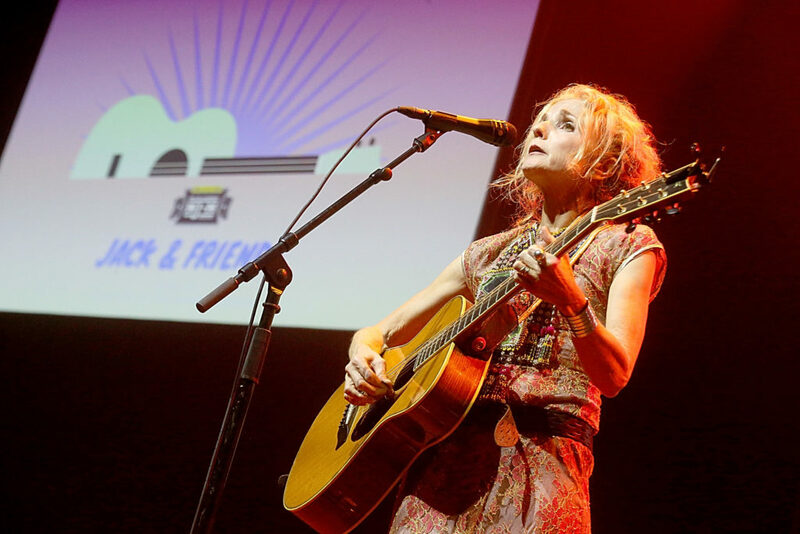 Growing up in Old Town, Maine, Patty Griffin didn’t initially have dreams of becoming a professional artist. However, a failed marriage led to Griffin performing at local watering holes. Upon being discovered, Griffin developed into a giant within the genres of folk, gospel, and soft rock. As of 2018, Griffin has won two Grammy Awards. Charlie Clouser is one talented individual. After performing with the likes of Marilyn Manson, Rob Zombie, and Nine Inch Nails, he transitioned into the realm of producing/composing. Clouser has been involved with a number of highly successful projects — including NUMB3RS, American Horror Story, Resident Evil: Extinction, and Saw. Clouser hails from Hanover, New Hampshire. Hawaii boasts some very impressive musicians. Jack Johnson and the late Israel Kamakawiwo’ole both hail from the islands. However, Hawaii’s most recognizable musician of all-time is Don Ho. The song “Tiny Bubbles” became somewhat of a one-hit wonder. Ho remained as an active musician for nearly 50 years. A native of O’ahu, Ho passed away in 2007 at the age of 76. 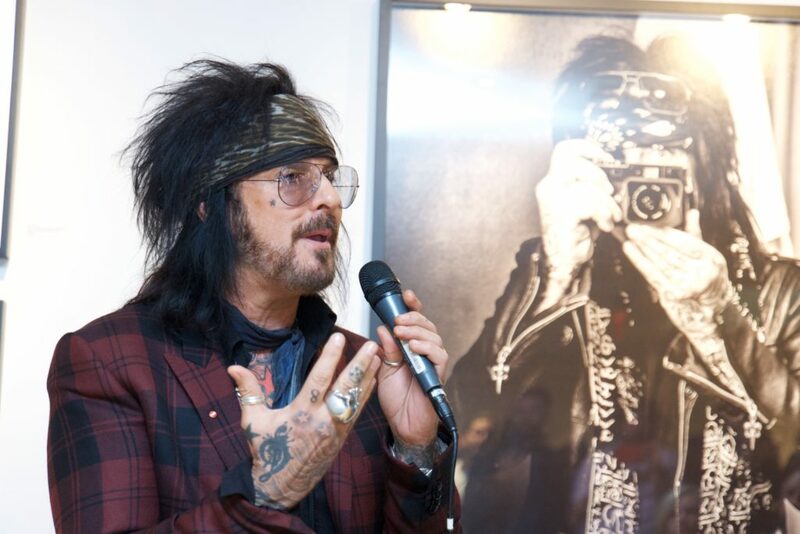 Nikki Sixx (real name Frank Feranna) was the co-founder of the band Mötley Crüe. His responsibilities included song writing and also being the main bassist for the group. Mötley Crüe developed into a commercial success, and many consider it to be one of the best heavy metal bands in the history of the genre. Interestingly enough, a rambunctious Sixx grew up in the tiny town of Jerome, Idaho. 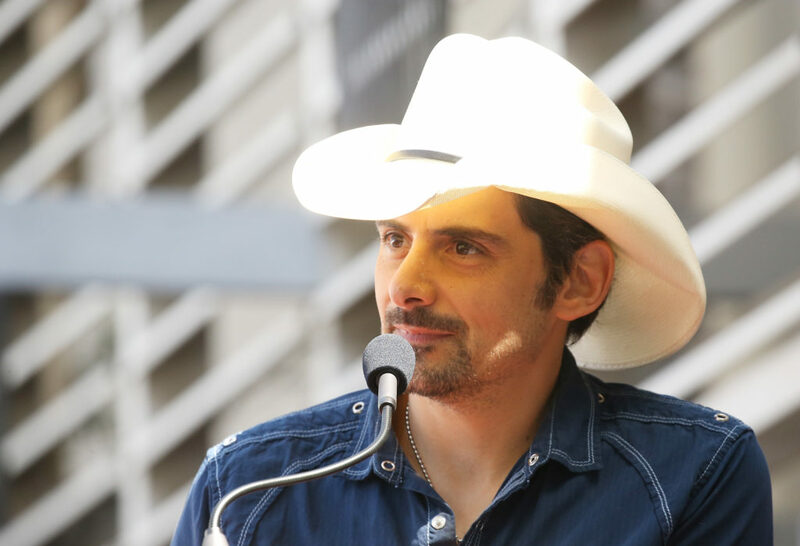 Brad Paisley is a giant within the country music world. His trophy case is chock-full with trophies — including three Grammy Awards and a plethora of Country Music Awards. Even more impressive, 19 of his past singles have reached No. 1 on the charts. Paisley was born and raised in Glen Dale, West Virginia. He was influenced heavily by his grandfather (also musically inclined). The 38-year-old has been heavily involved in the indie rock scene for the past 20 years. 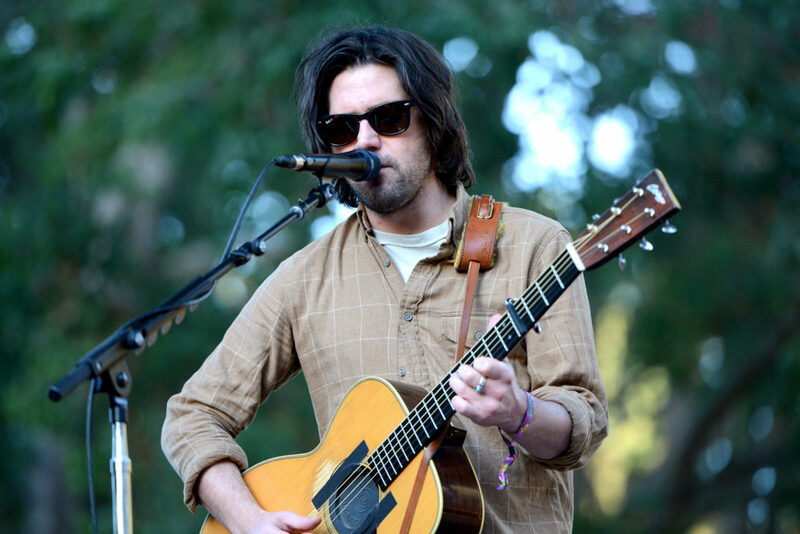 Oberst garnered a cult following for his work in the band Bright Eyes — though he’s also worked with The Faint and Desaparecidos (among other groups). Oberst can play a host of instruments, and also has the capabilities to sing. However, he’s most known for his songwriting skills. Oberst was born and raised in Omaha, Nebraska. After initially being a child actor, Demi Lovato has transitioned immensely well in becoming a global pop star. She’s won a number of awards for her vocal work (which first began in 2008). Her family is long-rooted in New Mexico. She was born and raised in Albuquerque before eventually making the move to Texas (and later Los Angeles). The Shins is another noteworthy musical act with ties to the state. Along with singer Jenny Lewis, The Killers are immensely proud of their home state. The group first was constructed in Las Vegas. 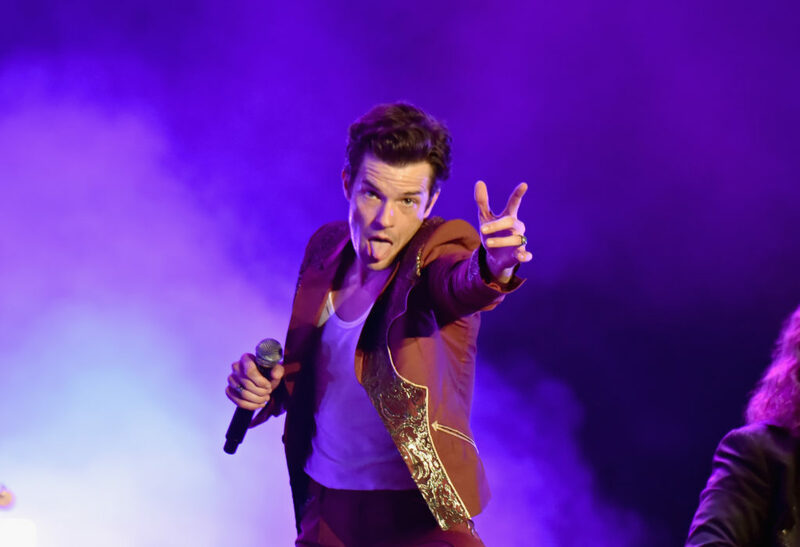 Under the brilliance of lead singer Brandon Flowers, The Killers have enjoyed a near 20-year run. The band has been nominated for seven Grammy Awards throughout its duration. In particular, the group has enjoyed a cult following across the pond. “Mr. Brightside” is the longest-featured single in the history of the UK Singles Chart (202 weeks). Melissa Etheridge and Janelle Monáe are two other worthy mentions hailing from the state of Kansas. However, Martina McBride stands out as the featured attraction. During the height of her popularity, McBride was a giant in the country pop crossover genre. Over the course of her career, McBride has been nominated for 14 Grammy Awards. McBride was born and raised in Sharon, Kansas. With respect to Evanescence and Ne-Yo, this state belongs to Johnny Cash. 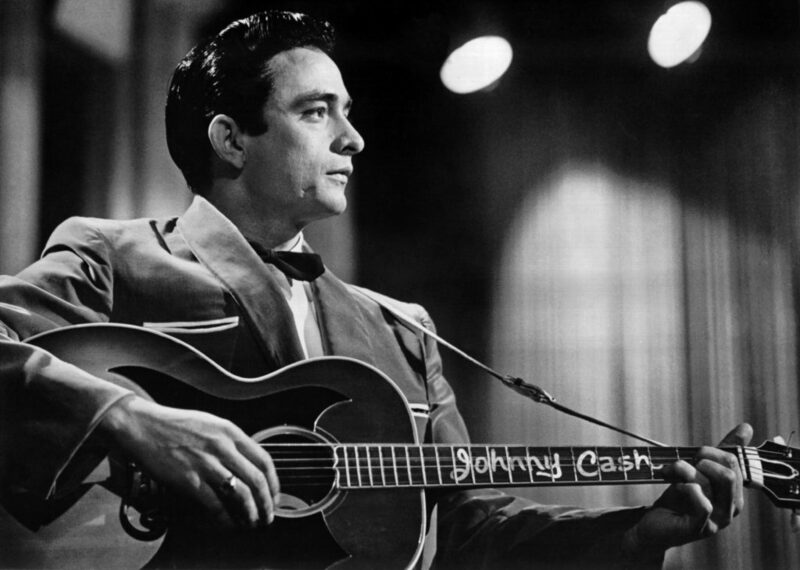 Regardless of genre or era, Cash is an all-time great. His ability to seamlessly mesh varying genres together was spectacular — as was his songwriting ability. Cash was born in Kingsland, Arkansas. He then proceeded to grow up in Dyess, Arkansas. Is there really any doubt who’d garner the No. 1 spot for the state of Mississippi? Elvis Presley was a transcendent musician. 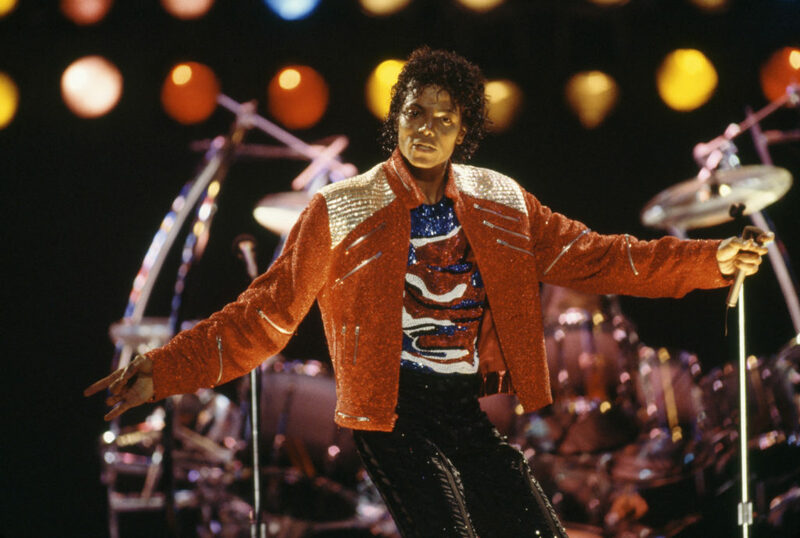 His influence both musically and as a performer has spanned over the last 40 years. There’s really no way to quantify the impact he’s had through his fantastic music. 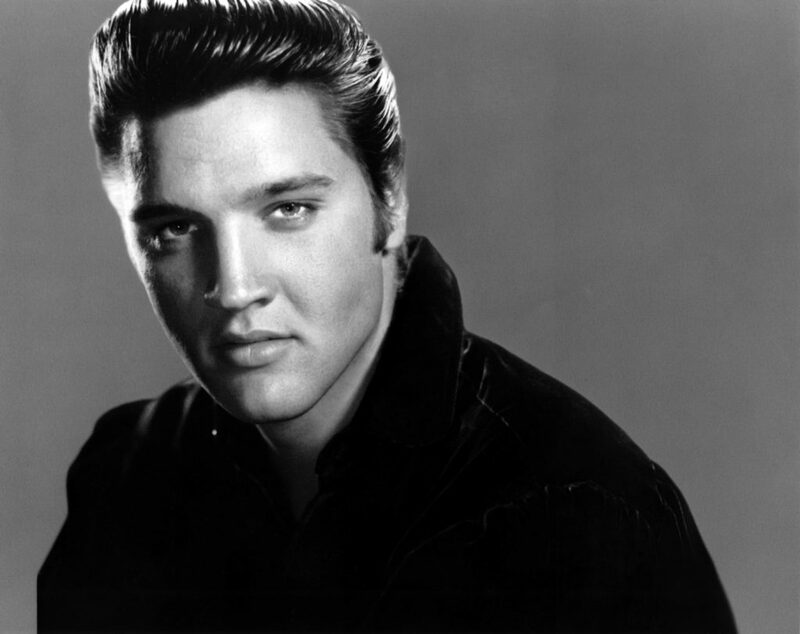 Presley was born and raised in Tupelo, Mississippi. He later moved to Memphis as a teenager. 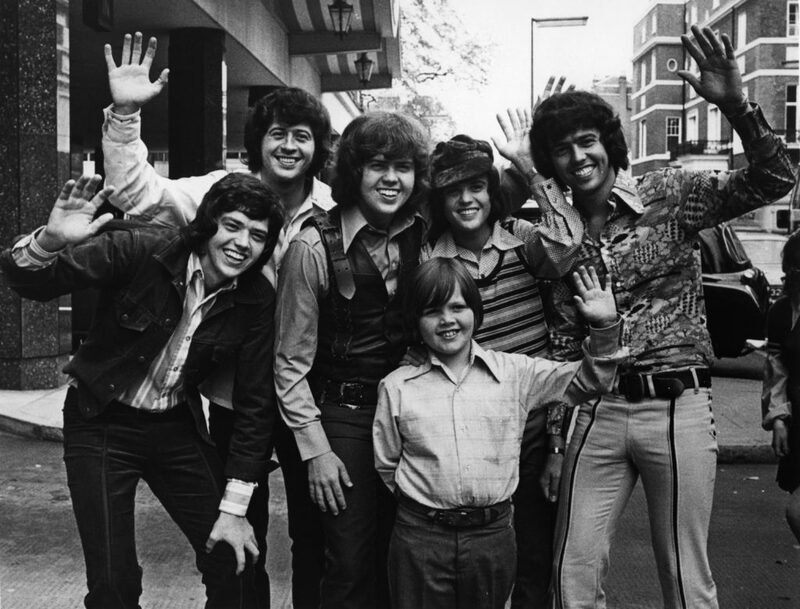 Throughout the late ’60s and early ’70s, The Osmonds burst into the limelight. The familial group functioned as essentially a parallel to the Jackson Five brood. Eventually, the group splintered apart once Donny and Marie Osmond became big-time stars. The two had their own variety show for years — and also enjoyed success as solo artists. The entire family hailed from Ogden, Utah. The world of heavy metal can be found smack dab in the middle of Iowa. 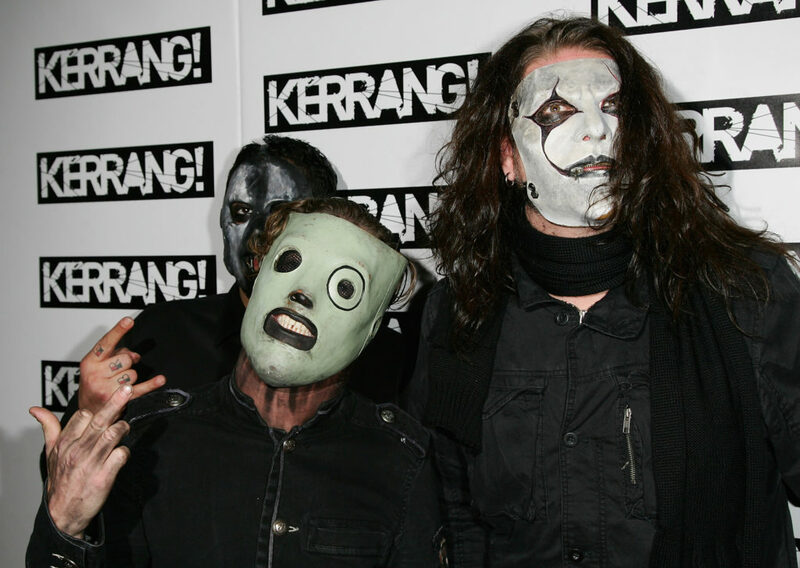 Famed heavy metal group Slipknot has long been a staple within the genre. Dating back to the mid-90s, the band is known for their crazy/eclectic performances on stage and peculiar attire (as seen above). Slipknot was first formed in Des Moines, Iowa. The group won an Academy Award in 2006 for Best Metal Performance. Over the last 20 years, John Mayer has delighted the airwaves with high-level music. 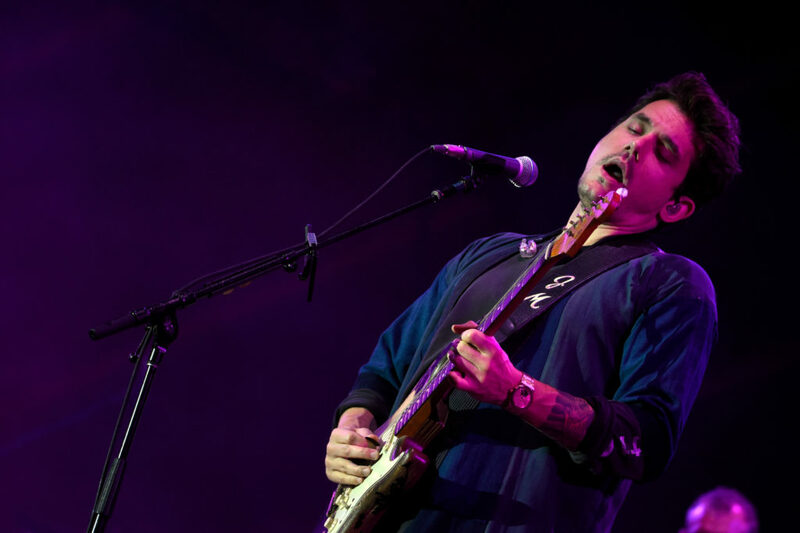 Mayer’s soft voice — coupled with immense talent on the guitar — has allowed for him to become a global star. Over the course of his career, the 40-year-old has won seven Grammy Awards. Mayer was born in the town of Bridgeport, and grew up in Fairfield. The state of Oklahoma has been loaded with high-profile musicians. Blake Shelton, Charlie Christian, Reba McEntire, Carrie Underwood, Toby Keith, and Norma Jean all have ties to the region. 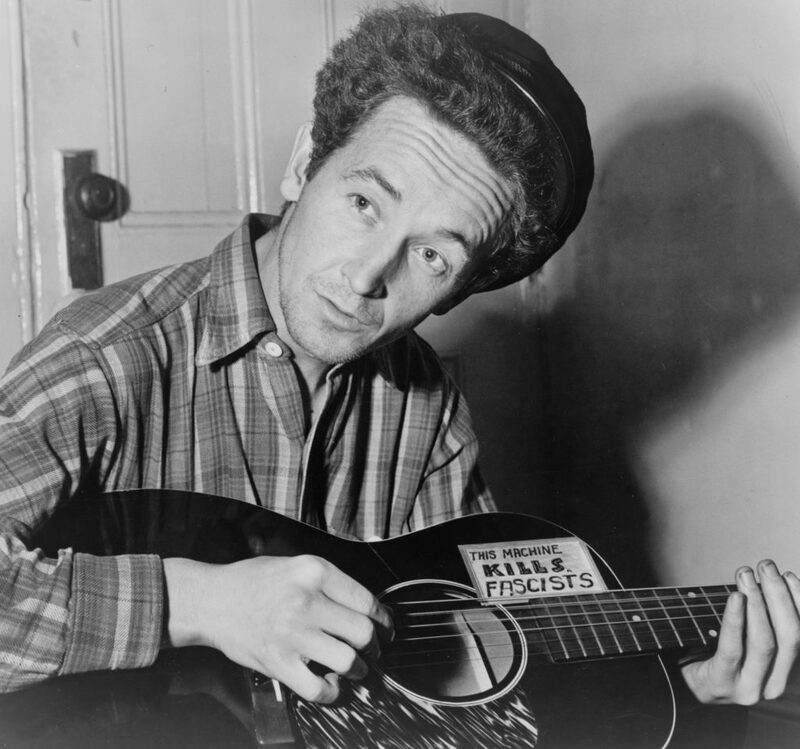 However, Woody Guthrie is the individual garnering top-billing. The folk genre was molded by Guthrie’s absolute brilliance. 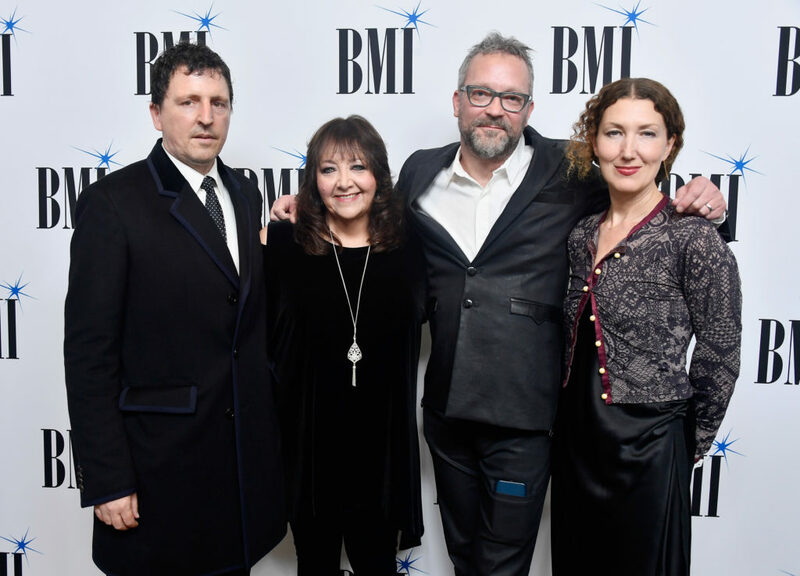 His ability to craft socially-conscious songs — whilst also providing excellent instrumentals — is a large reason why Guthrie is so highly thought of by many musicians following in his footsteps. Guthrie was born and raised in the small city of Okemah. Oregon hasn’t really been much of a hotbed for commercial music. Outside of Courtney Love, the musical group most associated with the state is Modest Mouse. Though originally from Washington, the group has been based in Portland for quite sometime. Lead singer Isaac Brock even spent time growing up in hippie communities throughout the state. 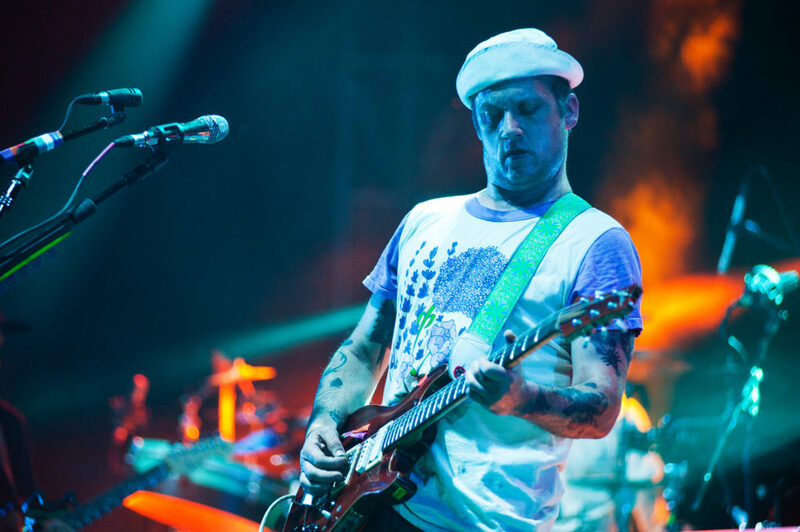 Modest Mouse still performs today — though much of their popularity existed in the early 2000s. The state of Kentucky and the Judd family are truly synonymous with one another. Matriarch Naomi Judd teamed with daughter Wynonna to form a highly successful group called The Judds. 15 of their singles became No. 1 hits. Duly, Wynonna and Naomi were able to earn five Grammy Awards. Naomi was born and raised in Ashland, Kentucky. Wynonna also was raised in Kentucky (along with her famous sister, Ashley). The state of Louisiana had a host of excellent musicians. Fats Domino, Tim McGraw, Lil Wayne, and Jerry Lee Lewis are only a few of the most noteworthy artists from The Pelican State. 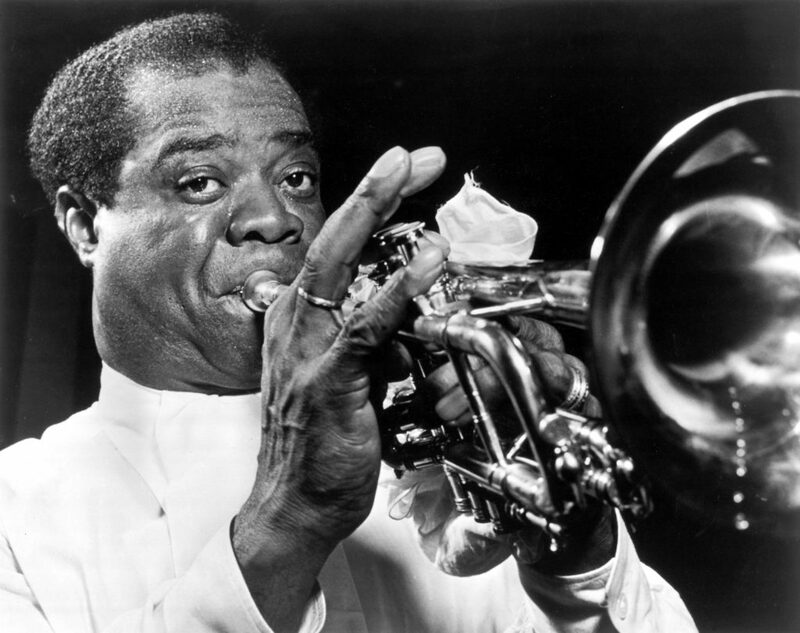 However “Satchmo” was a step above his peers. Armstrong was a pillar of the jazz movement during the roaring ’20s. His ability on the trumpet was sublime — as was his improvisational skills from a vocal standpoint. Armstrong was born and raised in New Orleans. He passed away in 1971 at the age of 69. 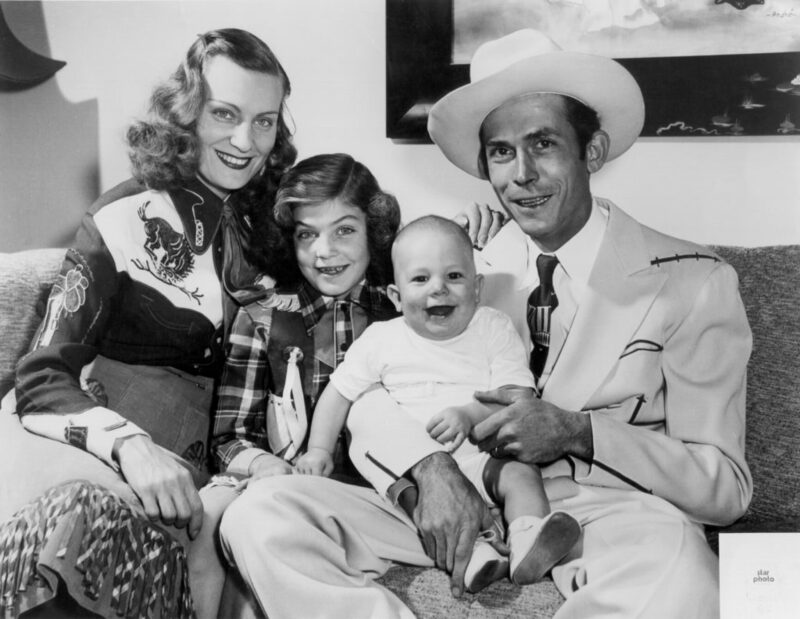 Many consider Hank Williams to be the godfather of country music. He seamlessly utilized an amalgam of blues, country, honky-tonk, and folk to form an enriching collection of music. Williams also holds the distinction as being a heavyweight when it comes to crafting together songs lyrically. He was born in Butler County, and raised in Georgiana. Other famous Alabama artists include Nat King Cole, Lionel Richie, and The Commodores. South Carolina’s most famous musical act comes in the form of a band. Led by Darius Rucker (who’s also a fantastic solo artist), Hootie & the Blowfish were highly popular throughout the 1990s. The song “Only Wanna Be with You” helped launch one of the fastest-selling debut albums to date. All four members of the band met in college at the University of South Carolina. Since breaking out individually, Rucker has won two Grammy Awards. He hails from Charleston. 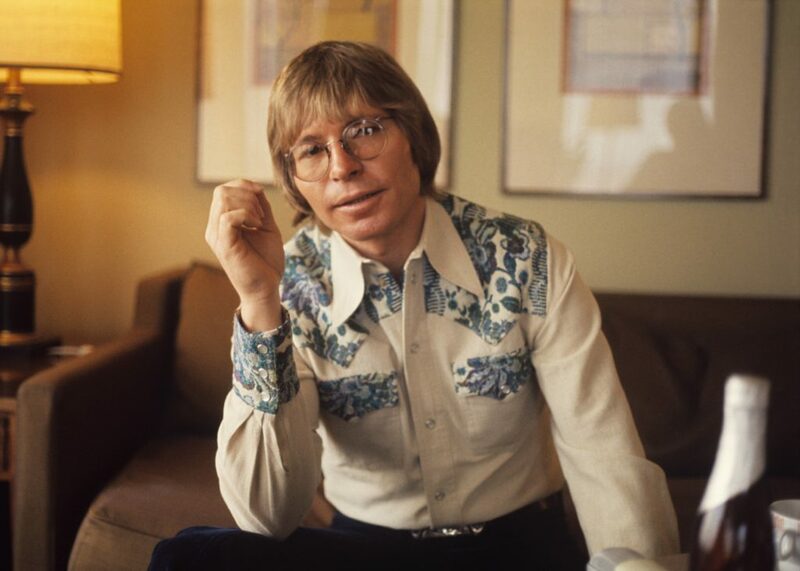 John Denver (born Henry John Deutschendorf) was all about the state of Colorado. Despite growing up all over the United States, Denver had an affinity for the the city of Denver — and thus changed his surname to mirror Colorado’s largest metropolis. A true folk singer, Denver touched many with his thoughtful lyrics and rhythmic voice. At the conclusion of his career, the Aspen-based singer compiled 12 gold albums and four platinum albums. Sadly, Denver passed way in a 1997 plane accident. He was 53 years of age. Prince narrowly edged out Bob Dylan and Judy Garland as the most famous musician to hail from the great state of Minnesota. The diminutive singer was exceptionally gifted. Prince offered a vocal range few (if any) could match. Additionally, he became a symbol (literally and figuratively) for creativity, expression, and versatility. 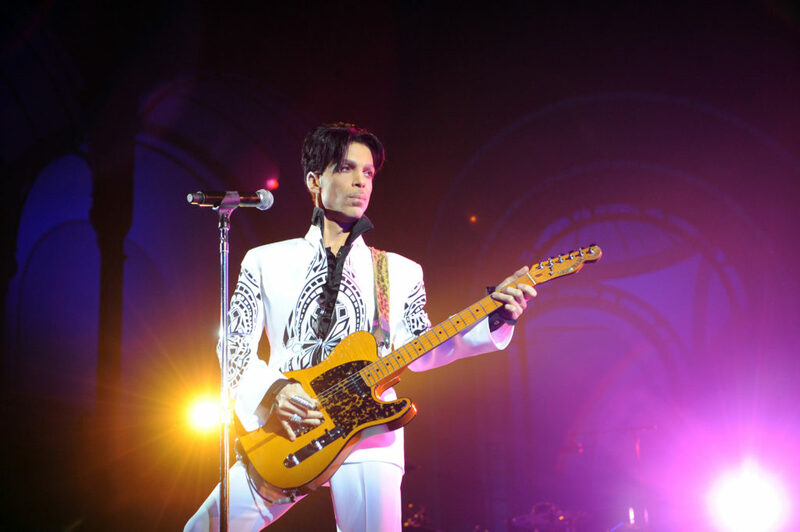 Prince lit up the stage in a way which garnered him eight Grammy Awards, a Golden Globe, and an Academy Award. Unfortunately, Prince passed away unexpectedly in 2016. He was only 57 years of age. Al Jarreau is the headlining act from the state of Wisconsin. Born and raised in Milwaukee, Jarreau’s earliest roots in music stemmed from childhood church concerts. He transitioned seamlessly into the realm of jazz and R&B. Jarreau enjoyed a professional career spanning 50 years. It included an eye-popping 11 Grammy Awards. 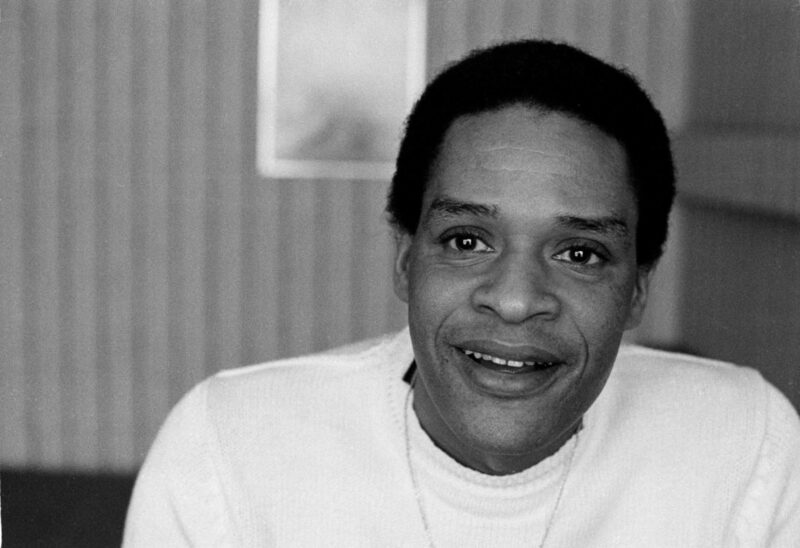 Jarreau passed away in 2017 at the age of 76. Leading up to his death, he had still been touring all over the world. Maryland has featured some exceptionally gifted artists (Cass Elliot, Toni Braxton, Joan Jett). However, none quite had the career enjoyed by Frank Zappa. In total, Zappa — a highly experimental musician — participated on over 60 albums. His ability to involve past influences with his own personal twist made him an all-time great. 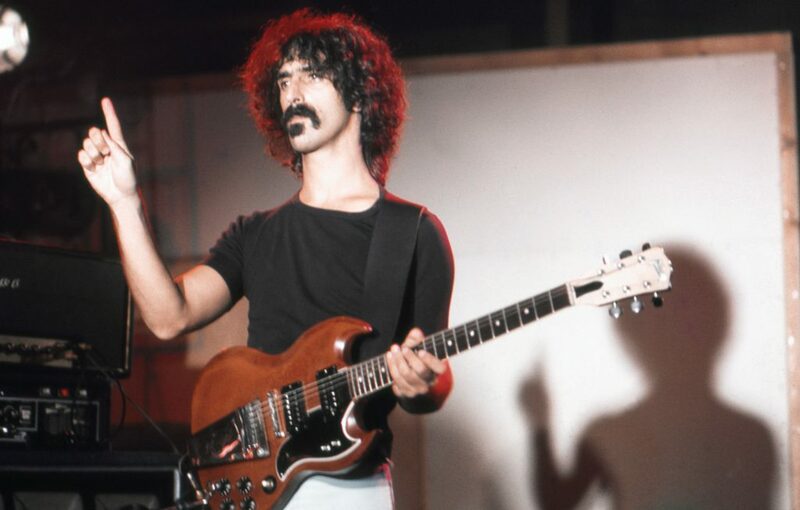 Zappa was born and raised in Baltimore before eventually moving to San Diego as a teenager. Some will be shocked to see Eminem (real name Marshall Mathers) as the flagship Missouri artist. Many associate him with Detroit (and rightfully so). However, Mathers was born in St. Joseph. He also split his time moving back and forth between Michigan and Missouri as a child. This included growing up partially in Kansas City. 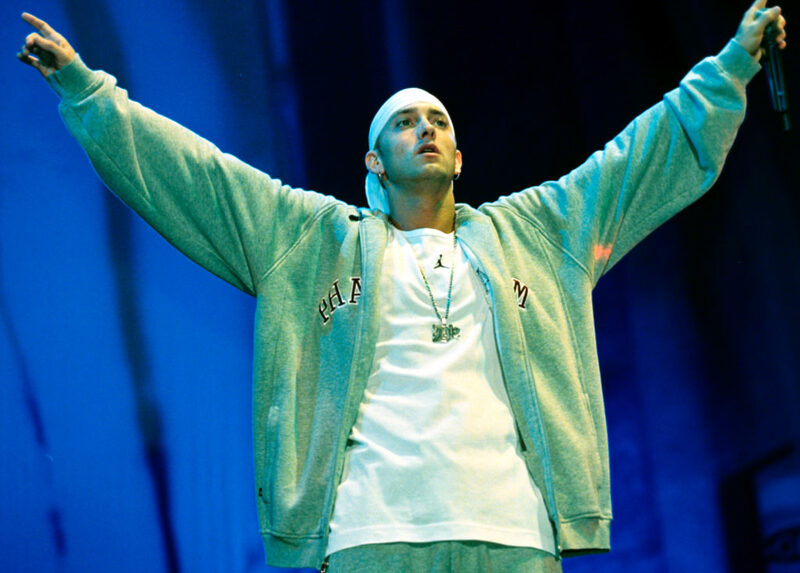 Eminem is one of the best rappers of all-time. There’s no disputing his work ethic — nor his insane ability to craft catchy tunes as a true wordsmith. Bessie Smith, Duane Allman, and Justin Timberlake are all heavily connected to Tennessee. We’re giving Timberlake the slight nod as the prominent musician from the state. Born in Memphis and raised in Shelby Forest, Timberlake was an entertainer from an early age. 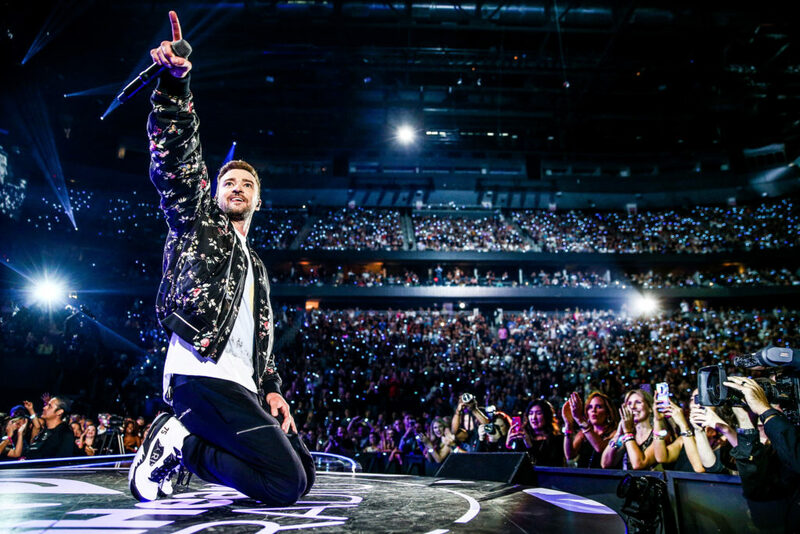 He burst onto the scene with NSYNC, and has since shattered records as a solo artist. Timberlake has even delved into the realm of acting. In short, he’s a man of many talents. Aerosmith is an American institution. 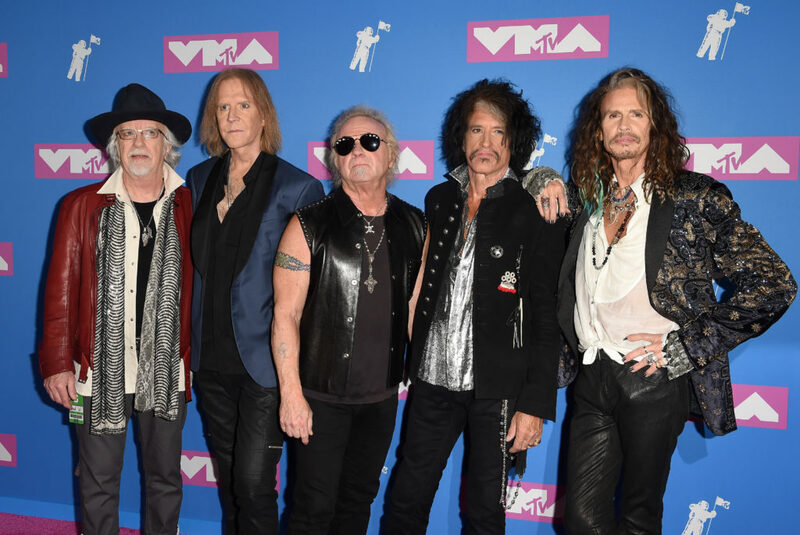 In an era dominated by noteworthy British groups, Aerosmith stood up as the impressive representative of the United States music scene. The rock group first came together in the city of Boston. There are countless hits emanating from this group. Some of the most famous include “Dream On”, “Walk This Way” and “Sweet Emotion”. 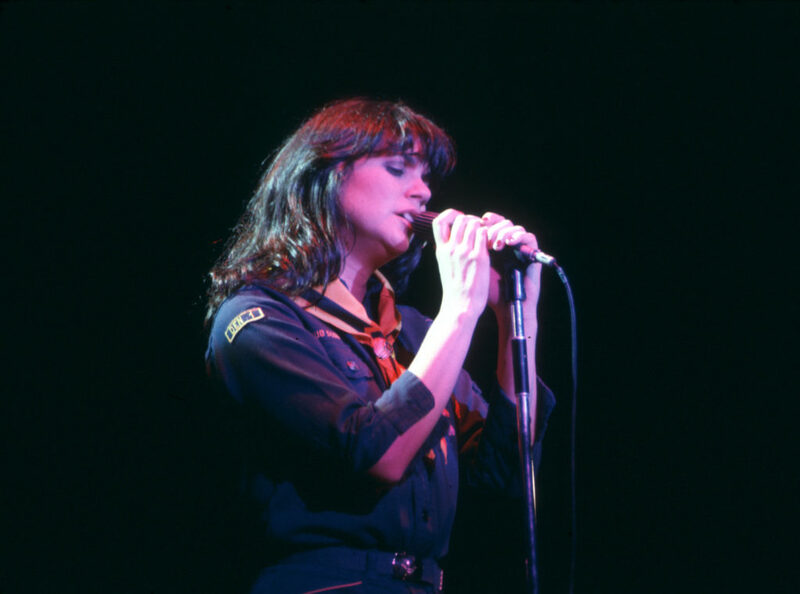 With all due respect to Alice Cooper, Linda Ronstadt is the flag bearer for the state of Arizona. Ronstadt has accrued 11 Grammy Awards over the course of her long and illustrious career. Her range as an artist is quite impressive. Ronstadt is a pop singer — though has also enjoyed tremendous success in the arenas of rock, folk, country, and Latin music. Ronstadt was born and raised in Tucson, Arizona. Bing Crosby surely does warrant a mention when it comes to Washington musicians. He was fantastic in his own right. However, three bands — Nirvana, Pearl Jam, Foo Fighters — completely dominated the state in what we’ve come to know as the Grunge Era. The ’90s in Seattle were a feeding ground for disgruntled youth to express themselves using alt-rock elements. 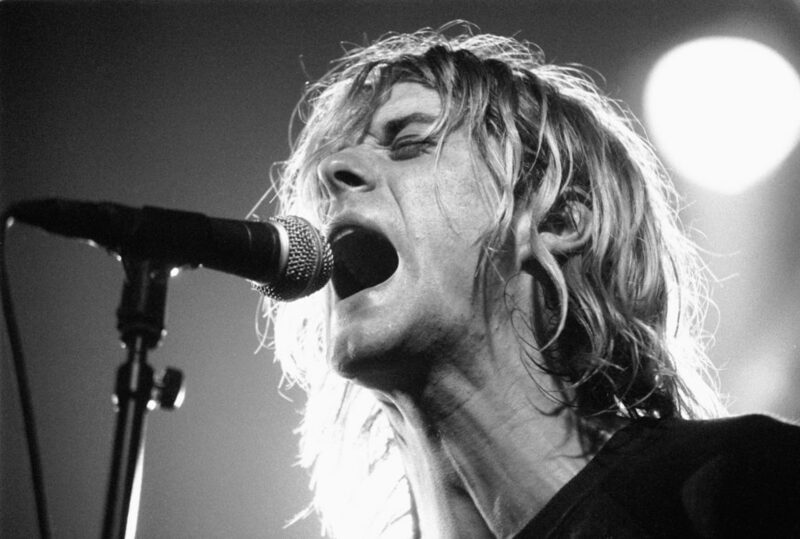 Headliners such as Kurt Cobain, Eddie Vedder, and Dave Grohl all cut their proverbial teeth from within the state limits of Washington. 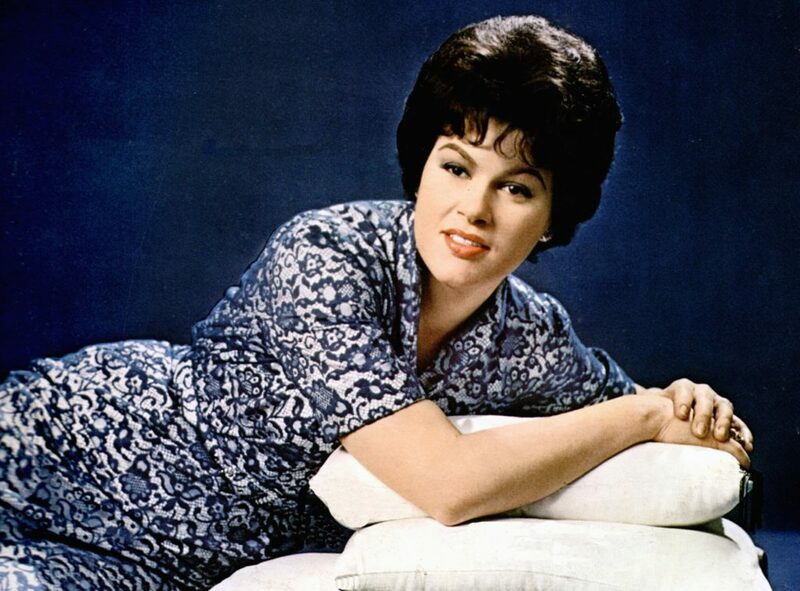 The state of Virginia can point to Patsy Cline (real name Virginia Hensley) as their go-to music icon. One of country music’s pioneers, Cline routinely offered chills with her tremendous vocal capabilities. Additionally, she broke through as a transcendent force by combining typical country music vocals with pop music elements. Horrifically, Cline passed away at the age of 30 due to a plane crash. She grew up in Winchester, Virginia. Michigan has some heavy hitters — namely Mathers, Aretha Franklin, Madonna, Bob Seger, The Four Tops, The Temptations, and The Supremes. 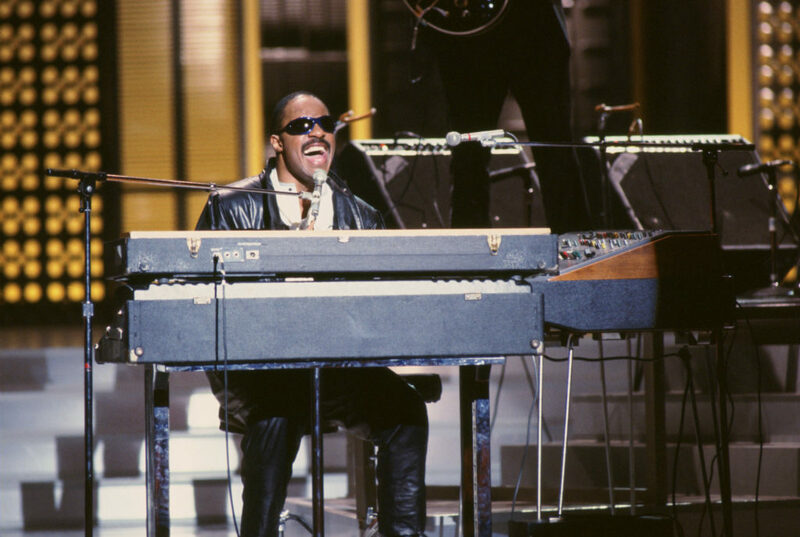 However, standing atop the musical mountain of Michigan is unquestionably Stevie Wonder (born Stevland Morris). The 68-year-old sensation was born in Saginaw, and raised in Detroit. From a young age, Wonder was known as a child prodigy. He’s created countless classics — including “Superstition” and “My Cherie Amour.” To date, Wonder has won 25 Grammy Awards. North Carolina boasts the likes of John Coltrane and James Taylor. However, we’re opting to instead focus on Thelonious Monk. 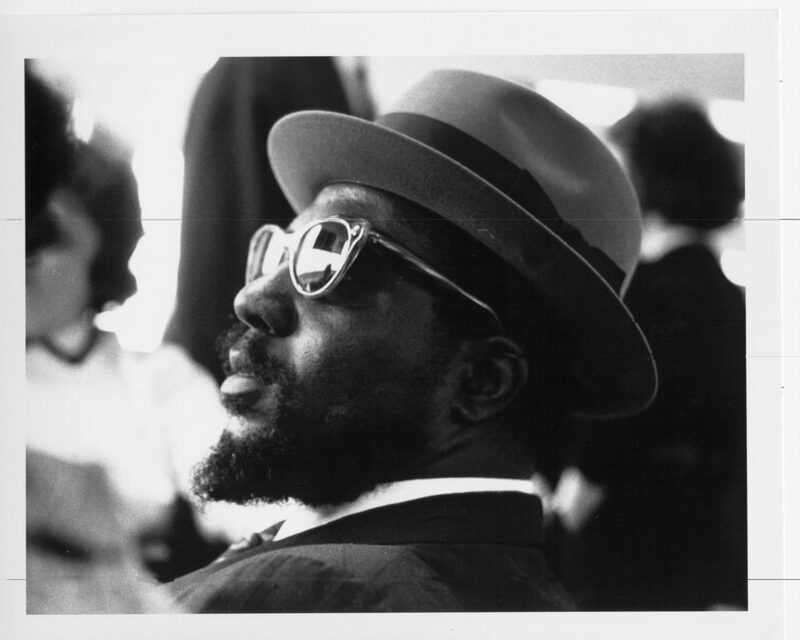 Next to Duke Ellington, Monk is arguably the greatest jazz composer of all-time. He was wickedly creative with his arrangements, and never shied away from improvising when the moment called for it. Monk was born in Rocky Mount, North Carolina before moving to New York as a child. Georgia housed a who’s who when it came to big-time performers. Some of the illustrious crop included Gladys Knight, Ray Charles, Little Richard, and Otis Redding. 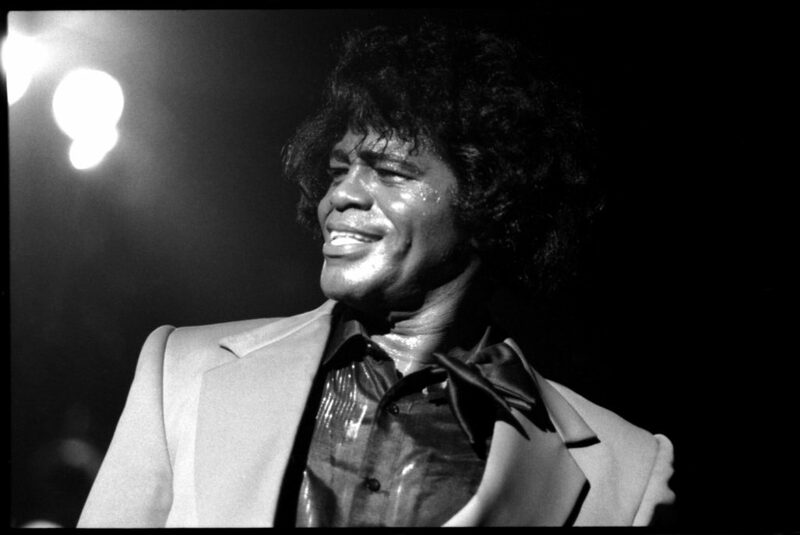 From an influence standpoint, we’re recognizing James Brown as the top dog. The ‘Godfather of Soul’ left an indelible mark on what it means to be a live performer. Wild and passionate, Brown allowed his bold music to come to the forefront. We talk about ‘swag’ when it comes to athletes and people with style. Simply put, Brown had swag in droves. As a young boy, Brown moved with his family from South Carolina to Augusta, Georgia. 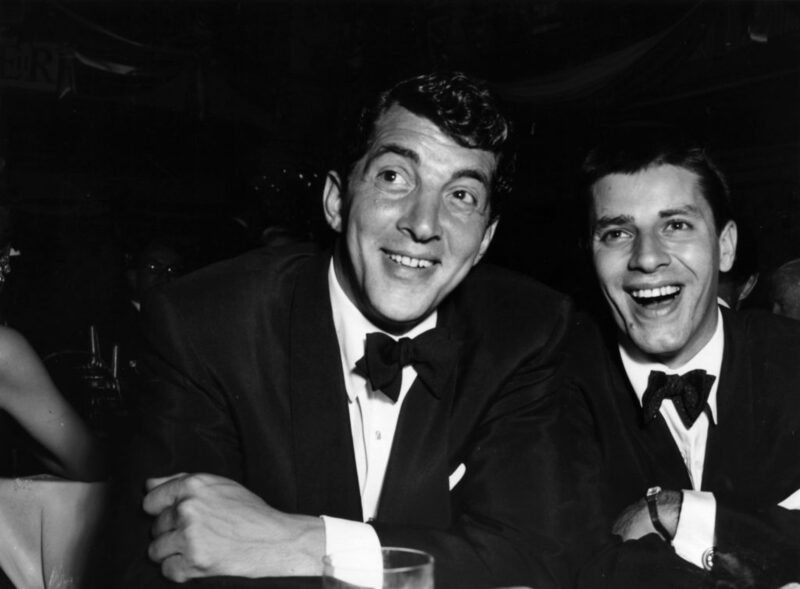 Dean Martin (born Dino Crocetti) was a true entertainer. As both an actor and a singer, there were few possessing Martin’s ability to star on stage. Much of singing sat in the genres of jazz, swing, and big band. For over 50 years, Martin entertained at an exceptionally high level. Coming from Italian parents, Martin was born in Steubenville, Ohio. He ended up living in Cleveland prior to his explosion as a worldwide phenomenon. 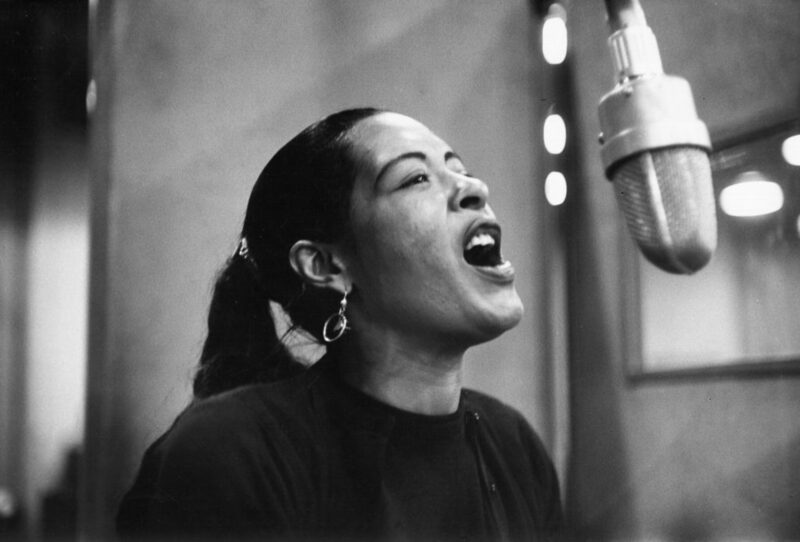 Billie Holiday (real name Eleanora Fagan) was ahead of her time. Throughout the ’30s and ’40s, her immense vocal ability mainstreamed the earliest elements of what pop music is today. Paired with notes of jazz, Holiday’s vocal construct was truly striking for its time. Though beset by health issues throughout her life, Holiday’s music has continued to have a lasting impact on past and present artists. 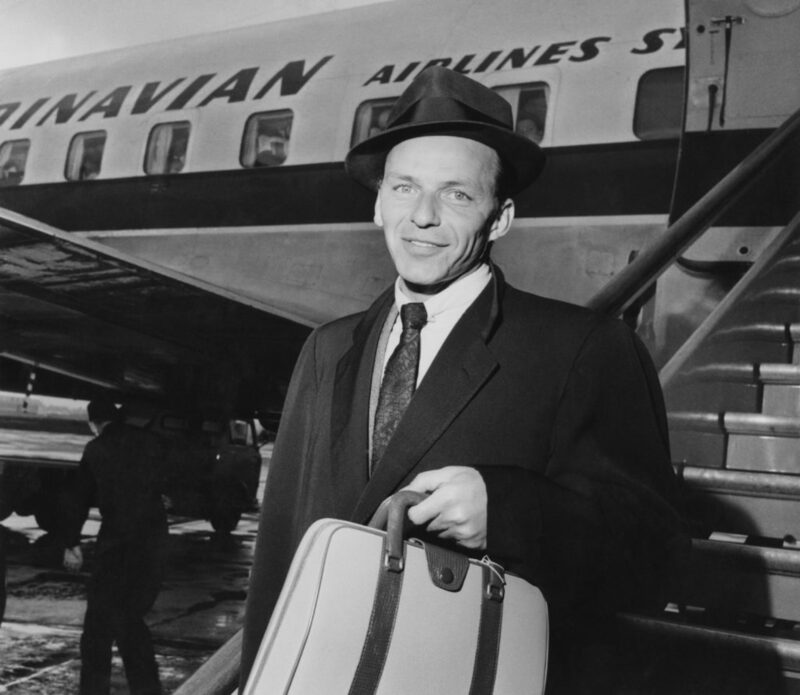 Born and raised in Philadelphia, the four-time Grammy Award-winning artist passed away in 1959. She was only 44 years of age. It was rather difficult narrowing Illinois down to one entity. Miles Davis, Sam Cooke, Styx, The Chi-Lites, REO Speedwagon, Kanye West, and Earth, Wind & Fire all hail from the state. With that in mind, we opted to go with the band named after the state’s most famous city. Chicago has long been a staple within the rock scene. It may be the most prolific American rock band of all-time. 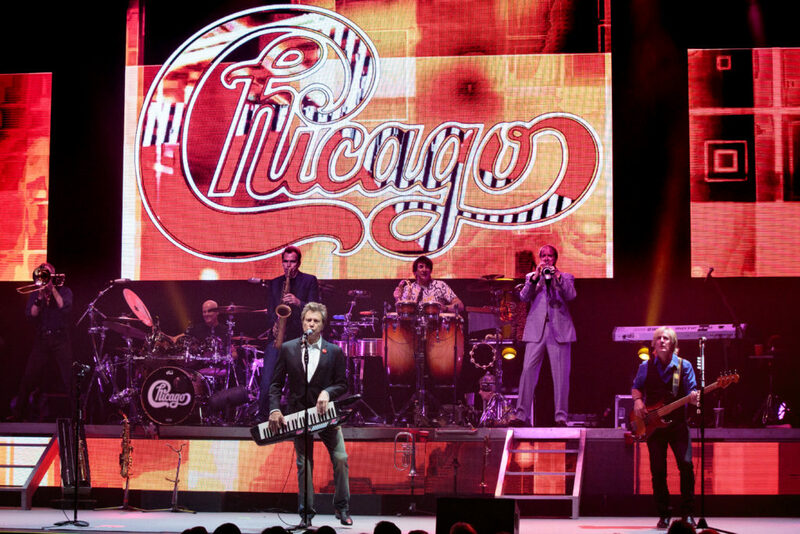 Chicago has demonstrated terrific versatility in the realms of content and instrumentals. The band has won five Grammy Awards — which also includes the achievement of 18 platinum albums. 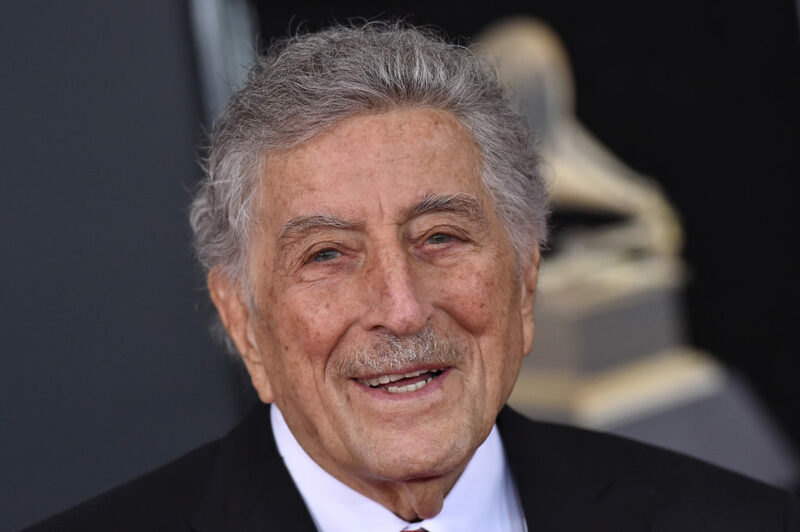 Tony Bennett (real name Anthony Benedetto) edges out the likes of Notorious B.I.G., Alicia Keys, Lady Gaga, Ella Fitzgerald, Duke Ellington, and Neil Diamond for the top spot in New York. At 92 years of age, Bennett is still performing at a rather high clip. His breezy delivery works immensely well with a number of different genres. Throughout the years, Bennett has also performed with virtually every major artist one could think of. The 19-time Grammy Award-winning artist was born and raised in Astoria, Queens. 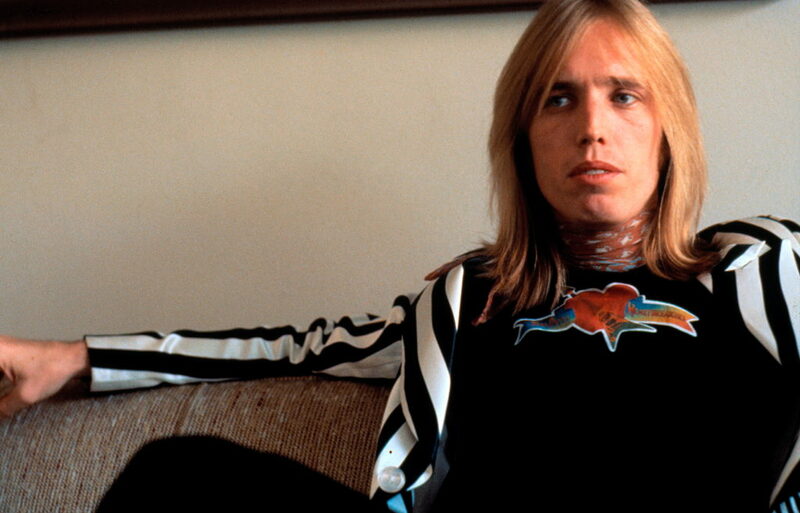 The late Tom Petty was one of America’s most treasured musicians. At 18 years old, Petty embarked on a career which saw him sell 80 million records worldwide. He also managed to win three Grammy Awards during this time. Petty’s ability to connect with his fans largely stemmed from deeply personal songwriting. “Free Fallin'” and “American Girl” are two of his most iconic tunes. Petty was born and raised in the college town of Gainesville. ZZ Top is the headliner for the state of Texas. Though Janis Joplin, Buddy Holly, Roy Orbison, Kenny Rogers, Selena, and Pantera all make compelling cases, we’ll go with the two guys sporting awesome beards. 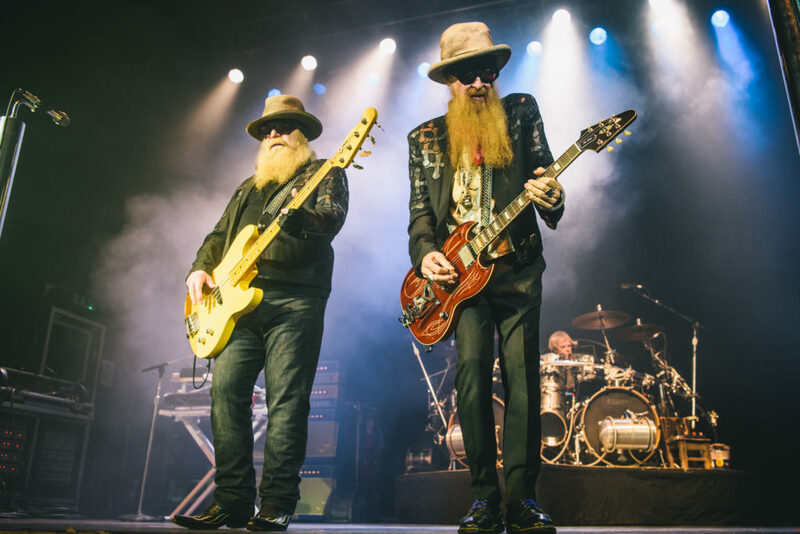 Based out of Houston, members Billy Gibbons, Dusty Hill, and Frank Beard have been absolutely shredding since the late ’60s. The band has enjoyed large amounts of commercial success, as they’ve accrued seven platinum and three multi-platinum records. In 2014, ZZ Top was inducted into the Rock and Roll Hall of Fame. Deadheads… rejoice! Grateful Dead isn’t even a band as much as it is an experience. A beacon of sunshine during the counterculture movement, the group became a phenomenon with their insane amalgam of psychedelic rock, alt-rock, reggae, jazz, and blues. 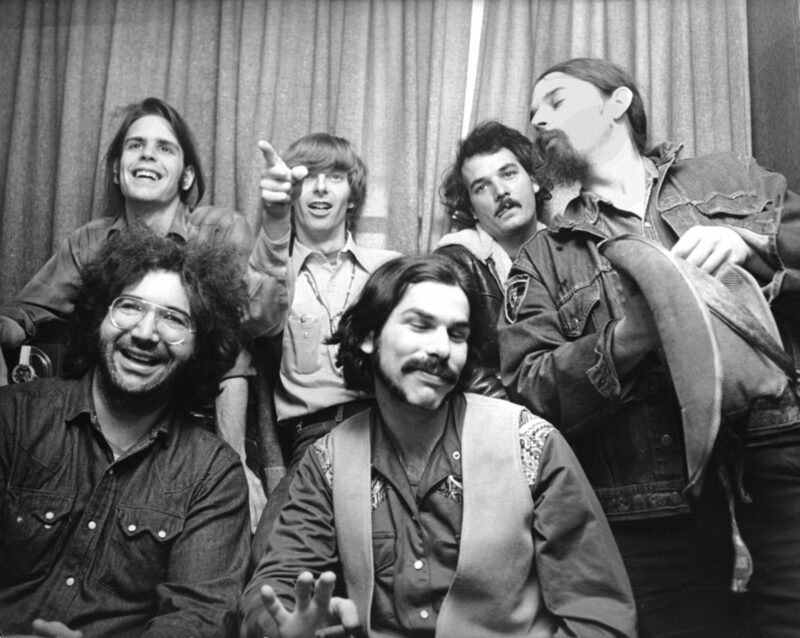 Without question, Jerry Garcia was the face of the group. Aside from providing vocals and guitar work, he was also fantastic as a lyricist. Grateful Dead represents much of what many love about music — particularly when it comes to passion and enjoyment. The band’s first origins were in Palo Alto — though much of their time was also spent in San Francisco and in surrounding parts of the Bay Area.